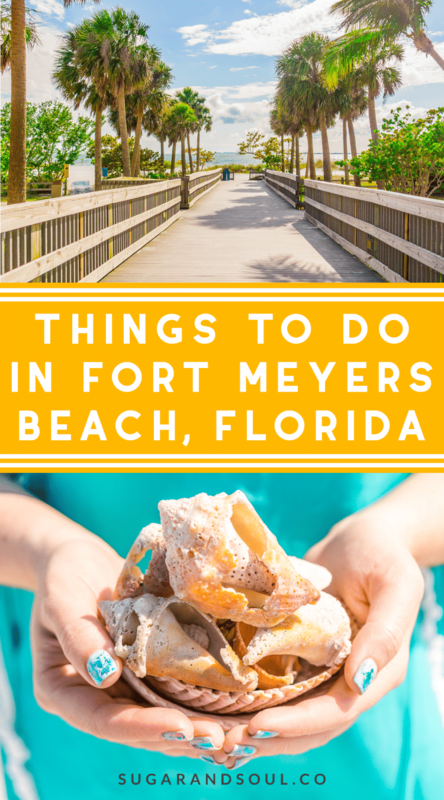 Planning a trip to Fort Myers Beach, Florida and looking for ideas for things to do and see and where to stay, here are my recommendations. On the edge of Lee County in Southwest Florida, is a set of islands that feel far away from the hustle and bustle of Fort Myers and Cape Coral. 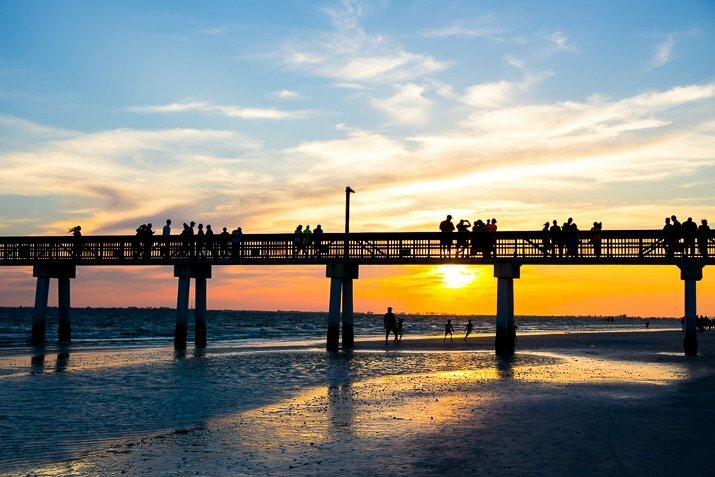 You’ll cross over the Matanzas Pass Bridge into Fort Myers Beach, a lively and fun tourist hot spot that’s that perfect destination for families, couples, and girl’s trips! 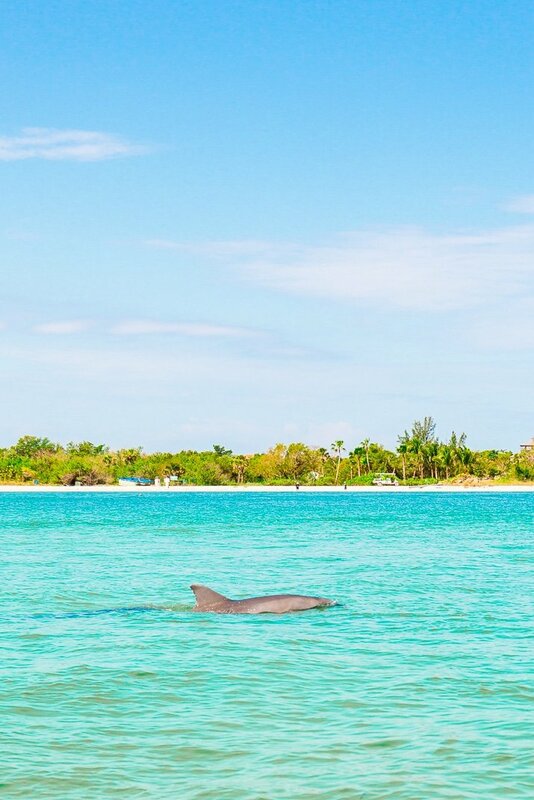 There you’ll find white sand beaches loaded with shells, happy wildlife, good eats, shopping, and a bit of island zen we could all use from time to time. 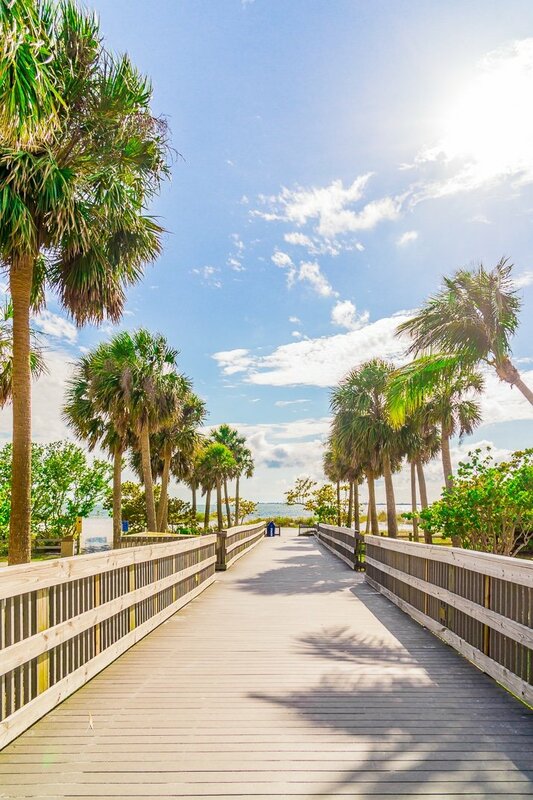 This post will cover some of the best things to do in and around Fort Myers Beach, including some destinations on Captiva and Sanibel Island! You can also check out my recommendations for the Best Restaurants in Fort Myers Beach! 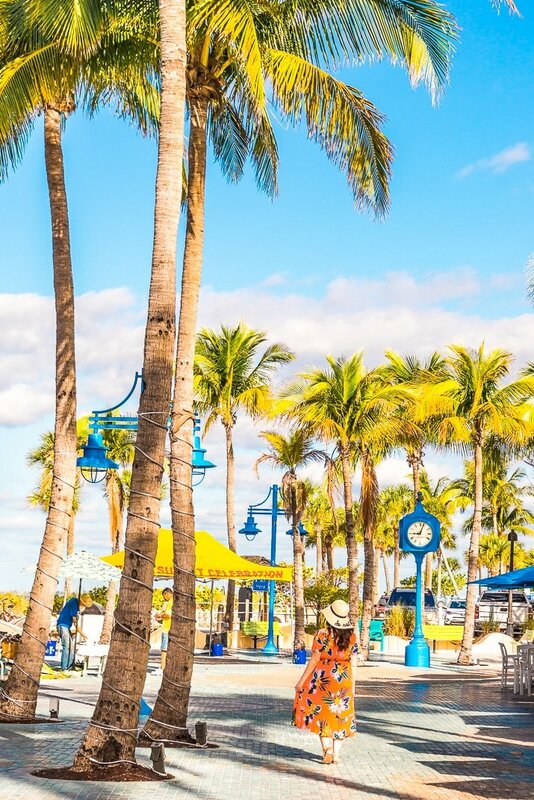 Fly To RSW – Southwest Florida International Airport (RSW) in Fort Myers is the closest airport to FMB, only about 25 minutes away and a very easy drive. Rent A Car – While the attractions on the islands are close together, you’ll want a car to island hop. Bring Cash – Not all of the parking meters take a card, so make sure to bring plenty of small bills to use. Parking Is Expensive – We spent anywhere from $5 .00 to $8.00 per hour for parking during our time on the islands. Luckily, FMB is super walkable. There’s A Trolley – If you don’t feel like walking, the island trolley is an affordable and easy way to travel the island. It goes back and forth between Summerlin Park in Fort Myers Beach and Bonita Springs. You can buy passes at the local Publix or online. 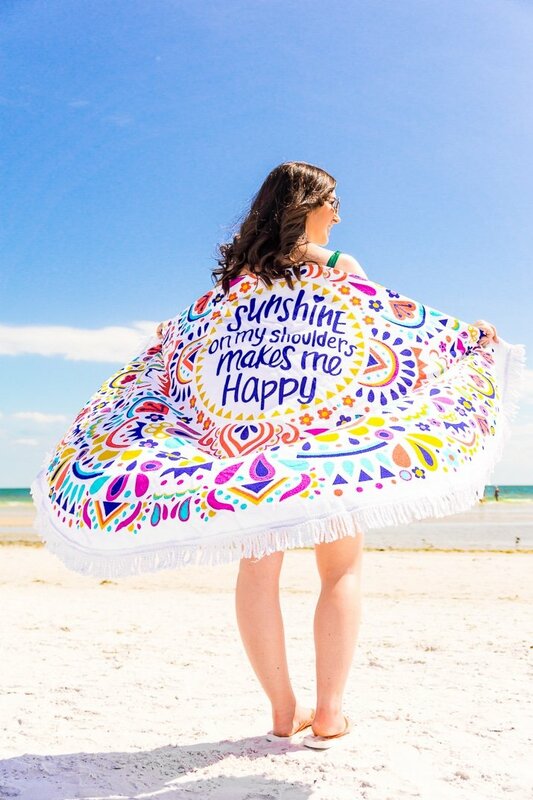 Beach Towel – More than likely your accommodations will provide you with a beach towel, but I like bringing two, one to lay on and one to dry off with. I love these round beach towels for laying on. Water Shoes – If you plan on doing any hiking, paddleboarding, or kayaking these will surely come in handy. I absolutely love these water shoes because they’re a great price, supportive, and comfortable! Swimsuit – You can’t go to the beach and not bring your swimsuit. I like to pack two so I never have to put on a damp suit. This one and this one are two of my favorites. 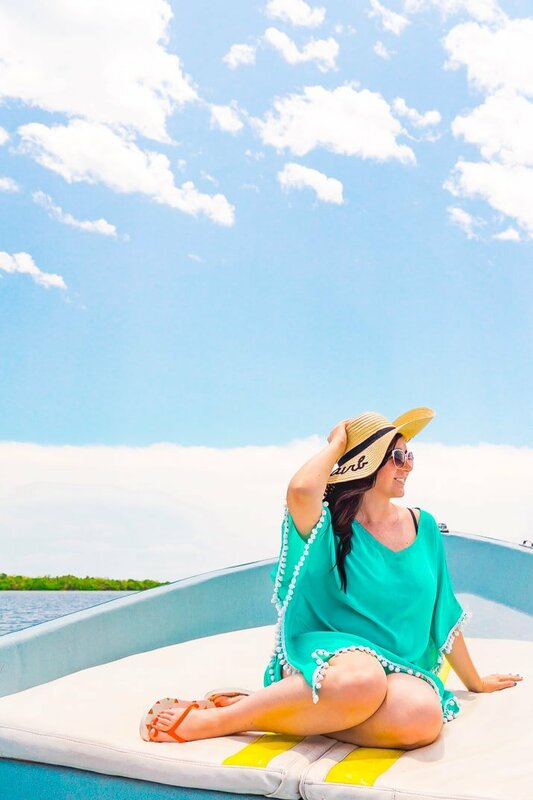 Cover-Up – Make sure to pack something that’s easy to throw on over your bathing suit for trips to the tiki bar, snack shack, or walking from the hotel to the beach. Options include cotton dresses, tunics, or sheer kimonos. Waterproof Phone Case – If you feel like taking your phone with you in and around the water for pictures, make sure you pack one of these cases. Book – A good beach read is a must, check out this list of my favorite romance novels for ideas on what to bring with you! 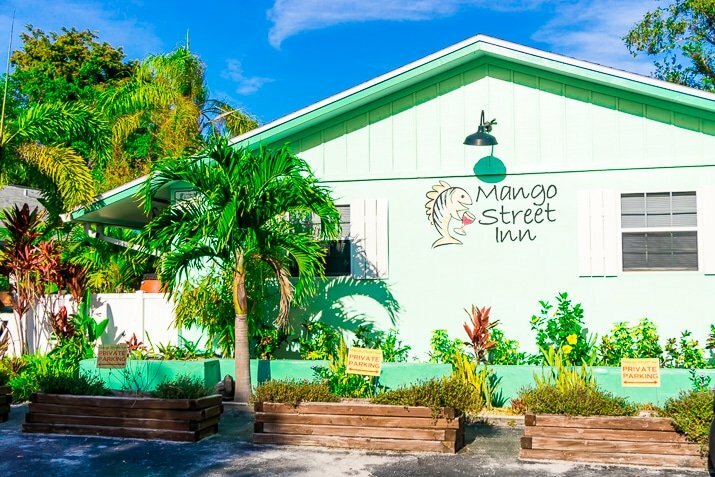 Mango Street Inn – This is where we stayed and it was the perfect oasis just across the street from the beach. Our hosts, Tree and Dan, were lovely and we loved staying here. The suites were bid and equipped with everything we needed! Dan makes and serves breakfast from 9:00 to 10:00 AM Monday through Saturday and let me tell you, it’s divine! 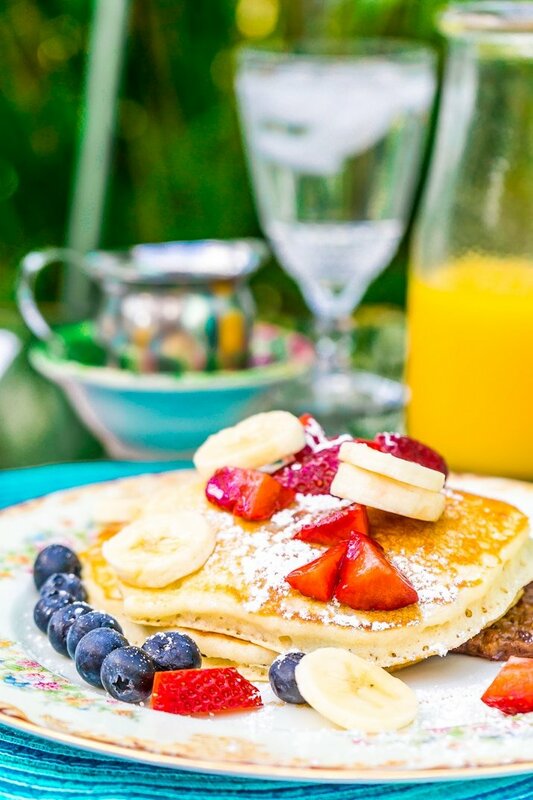 We had pancakes one morning and they were so delicious! There are plenty of places to grab breakfast on the island, but if you’re stying here, this one is not to be missed. They also have bicycles, beach chairs, and umbrellas you can use! 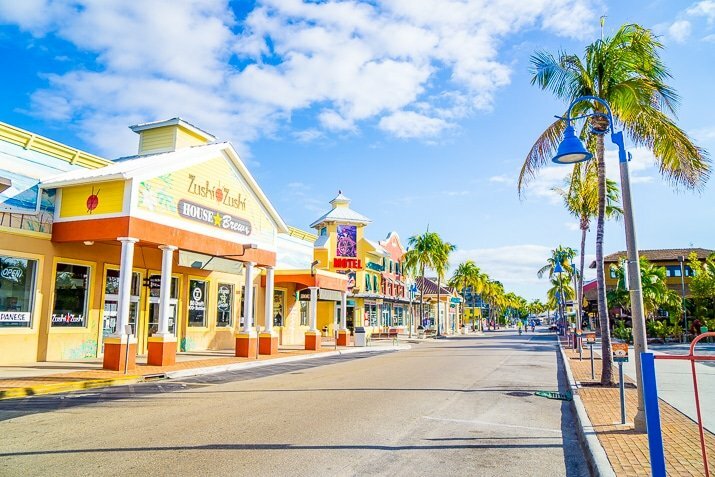 Time’s Square – This is the busy part of the island where you’ll find tons of restaurants and shops just steps from the beach. 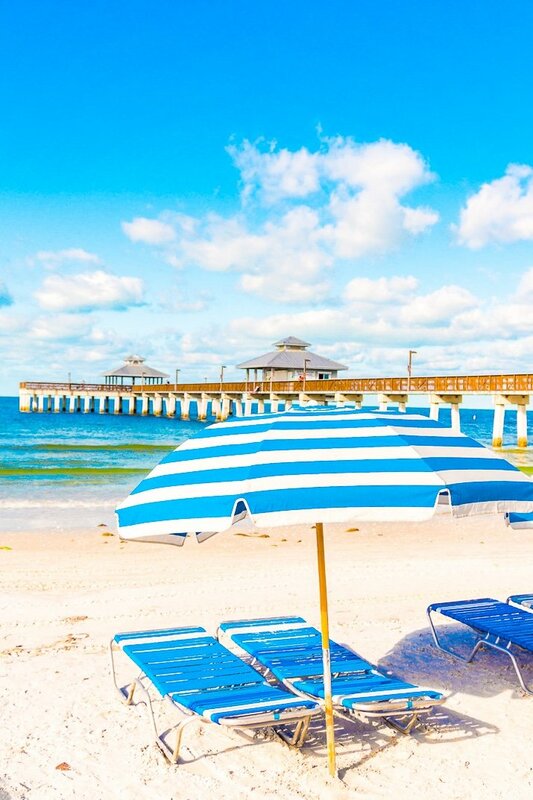 Go To The Beach – You can’t visit Fort Myers Beach and not go to the Beach! The white sand beaches are gorgeous and perfect for those hot days where you want to sun bathe and take a dip in the Gulf waters. Go Shelling – This part of Florida’s coast is covered in seashells because the beaches are protected by a broad underwater shelf perfect for gently receiving deliveries from shell-laden currents. 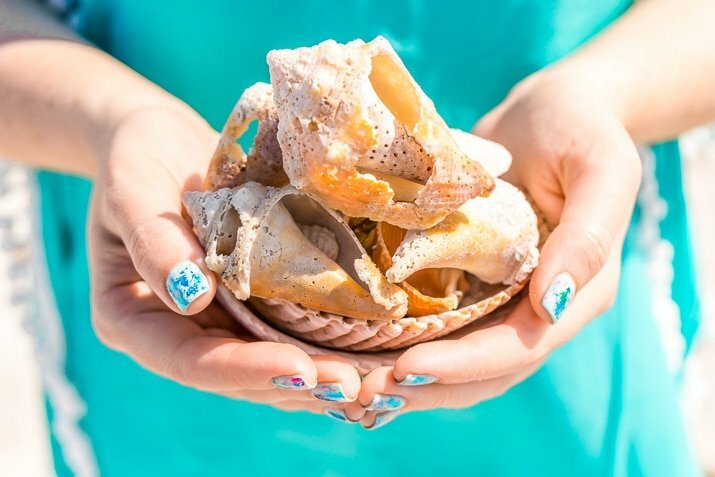 Shelling has become a popular activity for tourists and locals alike and shells are the ultimate souvenir! Just made sure that the shells are in fact dead. Bowditch Point Park – This is a protected area at the top of the island, a perfect place for families that’s quieter than the beach closer to the pier. Take a Charter Tour – This was my favorite activity on the trip, we took a tour with New Wave Eco Charters and it was amazing. You rent the entire boat for your tour and can have up to 6 people in your group. Just my mom and I went and it was perfect because Captain Steve let us set the pace and decide what we wanted to do. 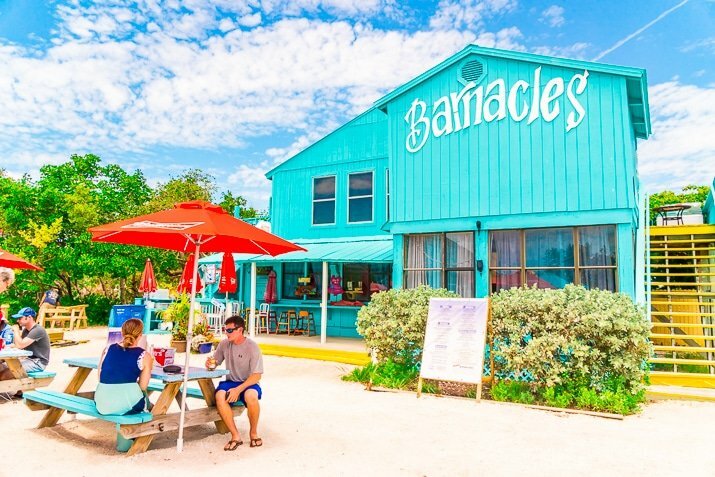 We saw manatees, dolphins, and turtles, strolled and shelled the beach of Coya Costa, and then went for a delicious lunch at Barnacles! It was a pretty amazing day and I would highly recommend this tour to anyone! If you’re looking for something a little more budget friendly, Good Time Charters came highly recommended from our hosts, but we really loved having some control over the tour and the privacy. 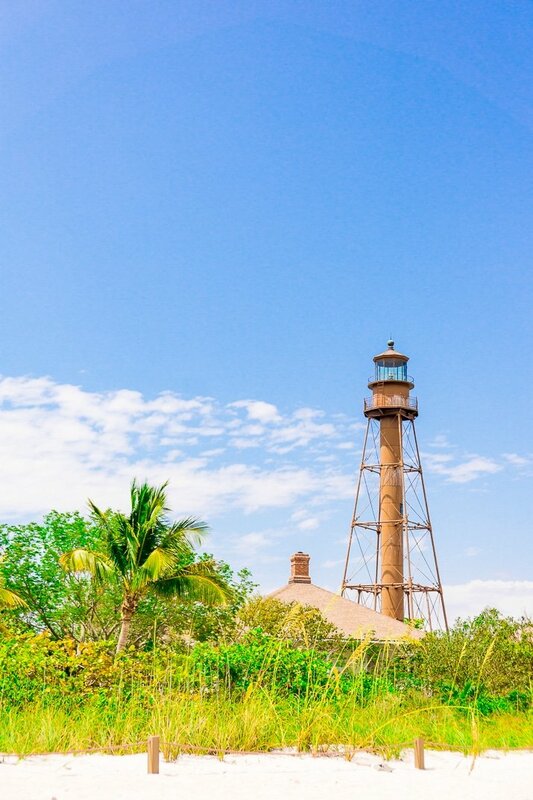 Sanibel Lighthouse & Beach – Another beautiful beach and a great place for shelling. 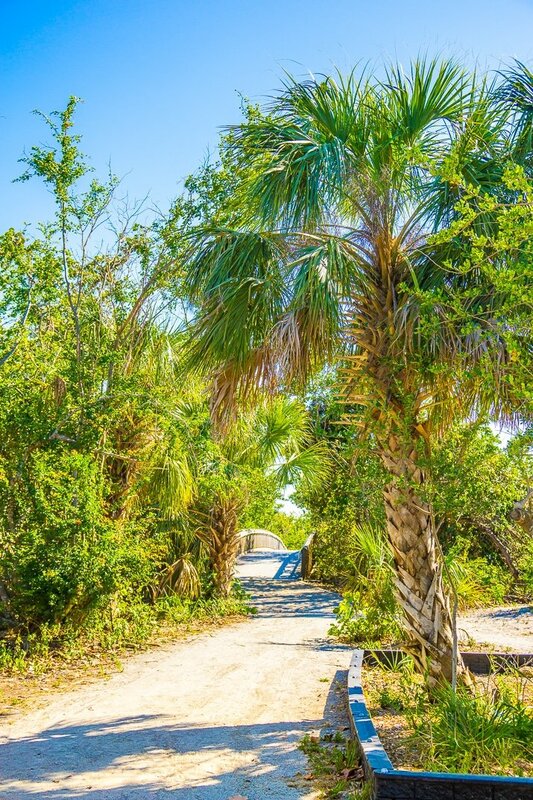 Explore Lover’s Key State Park – Just south of Fort Myers Beach you’ll find this little paradise of beautiful beaches, mangroves, and more. This is the perfect place to go for a hike, paddleboard, kayak, and more! This happens every Friday and Saturday night from 6:00 PM to 10:00 PM in Time’s Square in Fort Myers Beach. 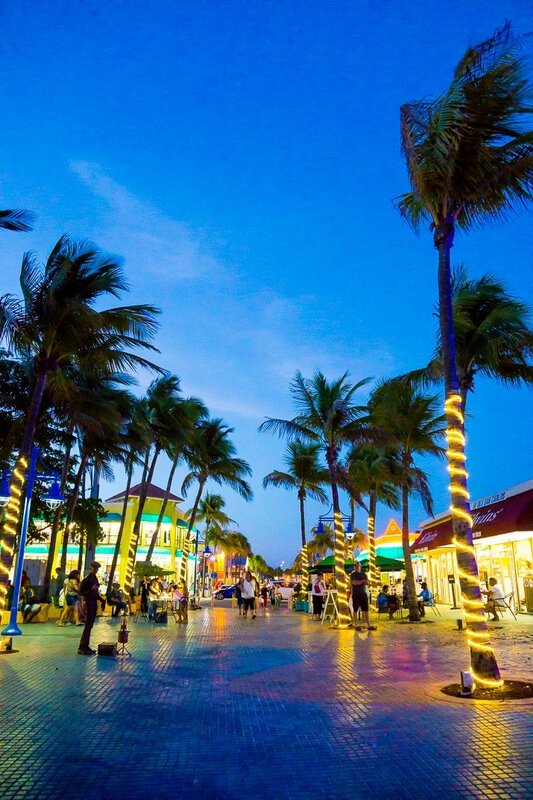 There you’ll find live music and street performers in among the beachside restaurants and shops. Sunset at the pier is an absolute must, when you’re down at Sunset Celebration, make sure to walk out to the beach and the pier to watch it. Pin this post to your Travel Board on Pinterest!